I give this project: APPLESAUCE! You are cordially invited to a unique SL experience at the Enigmatic Artworks. Seventeen resident artists would like you to see their jaw dropping exhibition of 279 pieces of original artwork, photography, sculptures, drawings, and paintings. The show opens 6pm (slt) January 28th 2009 and will run until further notice thanks to generous support from our sponsors. Opening night, however, is the time to be there. No Enigmatic Exhibition would be complete with out getting dressed up and getting funky to the infamous musical style of DJ Doubledown Tandino, our resident tonal artist. Have a chance to meet your favorite artists and ask them about their work. RAFTWET Jewell is the Second Life avatar for W.E.T. River Trips, a California whitewater rafting outfitter on American Rivers in the USA. They specialize in virtual water, rivers, streams, and waterfalls. Raftwet is also talented in the networking and marketing areas of SL as well. Beyond being a company avatar, she is also an active participant in many facets of SL, including the club and nightlife scene and the art scene. Her blog is an excellent method of showcasing the real life company, while also expressing thoughts and experiences as an individual SL active community resident. Congress is currently considering President Barack Obama's economic stimulus package, a measure which contains some extra goodies for gamers and Internet users. Because Net Neutrality and Universal Broadband provisions contained in the bill will stimulate the online gaming experience, the Entertainment Consumers Association is providing gamers with an easy way to let their elected officials in Washington, D.C. know that they support the stimulus package. "Net Neutrality and Universal Broadband are not only great for America; they allow us to play the games we want at high speeds!Now is the time to act and let our voices be heard. The new stimulus package... would provide for $2.8 billion in grants to develop broadband connections in underserved and rural populations... the bill also requires that any infrastructure built with the grant money has "open access basis" which would be defined by the new administration's FCC, but which seems to mirror Network Neutrality guidelines..."
Flight of the Conchords - "Sugar Lumps"
Each week The MetaLIFE P.P.T. Parties will feature a different exciting location showcasing various aspects of the Second Life community: Music, Art, Nightlife, Fashion, Architecture, Shopping, & more! Cash Giveaways & Prizes in the thousands at every event! Games & Trivia Too! The P.P.T. Parties are an excellent way to learn more about how the MetaTOOLS can work for YOU: Easily connect with friends, network, save your favorite locations, sell your products gridwide, sell other people’s items, and more! FREE for EVERYONE to make your MetaLIFE easier! I am happy to see that Linden Lab is currently showing off inworld turntables as one of the many items to be bought in Second Life. LL is promoting their new XStreet takeover/merger with a prominent click box front row center of the http://www.secondlife.com/ homepage, which then leads the viewer into shopping through XStreet. All-in-one shop for any inworld DJ and Club Industry Professional. Rodherik Kultus, the Second Life avatar, is a freelance DJ, music lover, and smart arse, living in London UK. Having piloted a short career as a Radio DJ and various other related work including most recently working towards producing, currently he is enjoying spinning the best of Electro, House and D&B... with a few other morsels tossed in for good measure. He also enjoys touring around the club scene in Second Life and plans to use his blog as a guide to some of the best clubs on the grid, as well as introduce some of the best DJs that he has had the pleasure of hearing and working along side. As mentioned before, Philip Linden came in to SL this week to speak to the nation. Metanomics - hosted by Robert Bloomfield ( Beyers Sellers inSL®) on SLCN.TV every Monday at Noon SLT had a special guest for our season opener show this week. Philip Linden graciously agreed to an interview. Linden Lab® Founder and Chairman of the Board Philip Rosedale engages in a broad-ranging discussion on the hopes that virtual worlds can fulfill in these anxious times. He shares his views on how Second Life’s economy is faring in the wake of real-world crises and OpenSpace pricing changes, why enterprises are flocking to Second Life®, and why Second Life residents both hope for and fear change. Contact JenzZa Misfit in world or at jenzzamisfit@gmail.com with inquiries. Graffiti Tagging in Second Life - Art or Gang Vandalization? 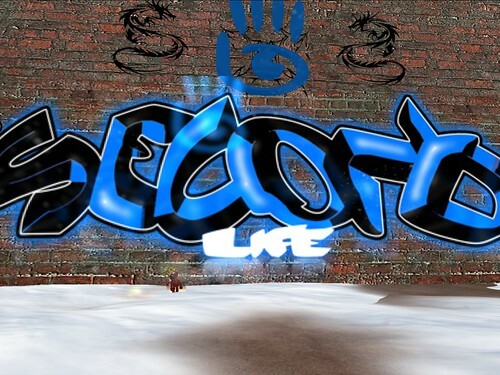 The video shows a tool that helps taggers in Second Life to graffiti walls and buildings. The gang type writing can be used to create art by some and to vandalize by others. What do you think about this? Is it art or simply someone looking to vandalize and what is your reaction to current and future Linden Lab restrictions? Linden Lab®, creator of the virtual world Second Life®, today announced a key milestone in its expansion of the Second Life platform: acquiring two Web-based marketplaces for virtual goods, Xstreet SL and OnRez. These acquisitions join several other recent strategic initiatives, including enhancements to the experience for new users, which will enable Linden Lab to reach a broader global audience for Second Life in 2009. Linden Lab is consolidating the two marketplaces on the Xstreet SL platform, offering one online shopping experience for customers and merchants. This will make it easier for Second Life Residents to find virtual goods to purchase and will provide merchants broader channels to sell their products. Xstreet SL and OnRez to Join Linden Lab! Today we are very happy to share some exciting news with you: Linden Lab has acquired Xstreet SL and OnRez - the two leading Web-based marketplaces for buying and selling creations for Second Life. Over the past few months we’ve been working with the folks at Virtuatrade and the Electric Sheep Company to hammer out the details, and today is the first day that we’ve been able to talk openly about this next step in our evolution. The Next Chapter for Xstreet SL and OnRez: Read the full story HERE. WASHINGTON—George W. Bush, 43rd president of the United States of America, passed away painlessly in his sleep Monday night, White House sources confirmed. The 62-year-old Bush was reportedly discovered lying unresponsive in his bed by first lady Laura Bush, a gentle smile still on his lips. "It was as though he knew it was his time to go," said longtime family physician Dr. Harold Ditmas, who pronounced the president dead of natural causes at 7:24 a.m. Plans for Bush's funeral have been postponed indefinitely following an unexpected incident in which the president's corpse was sucked through an Air Force One jet engine. The Internet has been a blessing for the music industry. Although the RIAA and IFPI frequently complain about piracy, their own research shows that only 10% of all illegal downloads are considered to be a loss in sales. Meanwhile, piracy has shown them how to monetize music online, and turn it into profit. * why Second Life residents both hope for and fear change. Come join us LIVE, Monday, January 19, Noon to 1 Pacific Time, to ask your own questions! In-World Fundraiser Events and Charities: Amazing Contributions to the Real World, or Scams and Flams? The 2008 Second Life Top DJ Clubs were announced a few weeks ago. I had initially intended on having an awards ceremony, however I want to make an announcement that there will not be an awards event. Quite Simply, it was way too hard trying to arrange a time where 20 to 50 club owners and managers could leave their clubs to come accept their awards. Instead we have passed out the awards already. Professors Robert Bloomfield (Cornell University) and Ray Pfeiffer (University of Massachusetts, Amherst) join forces to present an hour of LIVE music. Ray is an accomplished pianist and composer and Rob has the most wonderful singing voice – a true crooner! This will be their first time performing together. We are thrilled to host them! GREAT prizes will be raffled to those in attendance throughout the event created by many of your favorite designers. A MUST attend event! From 4 pm – 6 pm PST DJ extraordinaire Doubledown Tandino will be spinning a variety of great music for your dancing pleasure. 6 pm PST LIVE music - Do not miss this!“An evening with Ray & Rob“ (aka: Professor Ray Paule & Beyers Sellers inSL©) performing piano & vocal Jazz, Standards, & Big Band tunes. From 7 pm – 8 pm PST Doubledown will deliver another hour of music & a few special fun activities are planned – stick around for it! Join us for a fun & memorable evening - This will be a PG event – casual attire. Contact Bevan Whitfield or JenzZa Misfit with inquiries. Click here to teleport to The Mill at Muse Isle Northwest. A truely fascinating research project is underway as Homeless Martian formulates the SL Live Music History Time Table. Make sure to check it out! "SL Music History : The Time Table - As you might have heard by now, I am starting a whole series of posts about the SL Music History. To have it as complete and accurate as possible, I am asking everyone to check the time table. The Time Tabel will be updated every now and then. Pattern 09's Pyramid Club & MetaLife will be doing a special event featuring DJ Doubledown Tandino to showcase the new metaKIOSK and metaHUD breakthrough technology meant to stimulate business & social networking on the grid. Please join us as we dance away the afternoon with a "Best in Famous & Celebrity Avatars" & a $2,000L prize. Trivia for thousands too hosted by Doubledown. If the economic situation has given you the blues, find out how you can shake up sales as a creator, boost visits your ventures, and get paid via metaLife's affiliate partner program.... all in one. Meet the CREATORS and receive LIVE Demonstrations! Music Videos Made in Second Life - "The Source Experience - Musaca" and "Fall"
The Source Experience - Musaca from source66 on Vimeo. Fall (Mini Project 3) from Lainy Voom on Vimeo. DRM refers to technologies typically used by hardware manufacturers, publishers, and copyright holders to attempt to control how consumers access and use media and entertainment content. Among other issues, the workshop will address the need to improve disclosures to consumers about DRM limitations. Interested parties may submit written comments or original research on this topic. Comcast, which got in trouble with the FCC for its P2P-throttling approach to network management, has now completed its plan that deals with bandwidth hogs by slowing all broadband traffic for heavy Internet users during times of network congestion. The nation’s largest cable provider has posted a chart on its network management page showing that, as of the end of the year, it stopped throttling P2P traffic across its entire service footprint. The most useful thing about the little Google Gadget, though, is that it gives a bit more detail on exactly which markets Comcast serves — data that’s sometimes hard to get from cable providers. For the last few months, Comcast has been transitioning how it monitors and throttles broadband traffic. 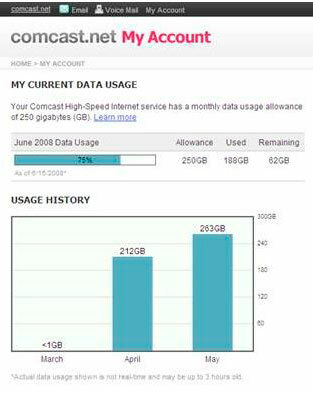 DSLreports.com claims that this transition is now complete for all of Comcast's markets, meaning that Comcast users might see their connection speeds drop if they use too much sustained downstream throughput and they can even potentially lose their service if they exceed Comcast's monthly broadband cap. Comcast previously received quite a bit of flack for throttling the throughput of users who were downloading certain types of data, such as torrent packets. While torrent traffic can often mean someone is downloading illegal content, that it not always the case--there is a growing amount of legitimate torrent content. Comcast decided to transition from this packet-inspection type of network monitoring to one that is content-agnostic. usage meter tool ( Credit: http://www.dslreports.com/ ). The new system, which is now in place, monitors the amount of downstream traffic a user consumes and not what that traffic is actually composed of. This connection and promotion center (formerly named 'Ravelong Biospaces,') is designed to connect DJs with events and clubs with DJs. By being very effective, the DJs and Clubs Hub has been a complete success in Second Life for over 2 years. -Clubs: Promote your club, it's services, it's events. EMPLOYMENT: list DJ and Club job openings. You will receive more traffic and patronage. DJs will also respond to your gig options and DJ jobs. Make sure to include the LM to your club, current/upcoming events, and times open. Please also include any job openings. The more specific you are the better. -Booking Agents & Talent Agencies: On the left side are the Club Biospaces or "talent buyers" wall. Add your booking or talent agency info to receive inquiries from DJs looking to connect. Meanwhile, on the right side are the DJ Biospaces or "talent" wall. Add your DJs to this wall to get them extra bookings. Doubledown Note: As a bonus, this is where I send any and all inquiries. I generally get 4 to 8 daily requests asking for good djs, good clubs or employment. The DJs & Clubs Hub is where I bring anyone asking me. I show them the DJs and Clubs walls, and make several recommendations. Ravelong™ does ongoing promotions and classified ads creating even more traffic & exposure for you. Doubledown's TV Picks - The Simpsons - "Mypods and Boomsticks"
The Simpson family takes a trip to the Mapple Store at the Springfield Mall where Lisa gets her very own Mypod, and Bart interrupts an announcement from Steve Mobbs with his own voiceover, causing pandemonium to break loose in the store. On his way home from the mall, Bart narrowly escapes punishment and befriends a Muslim boy named Bashir. Homer becomes suspicious of Bart’s new friend and invites Bashir, his mother (guest voice Shohreh Aghdashloo, “24“) and his father over for dinner so he can investigate their supposed anti-American sentiments. Having already offended Bashir and his family at dinner, Homer goes to their home to apologize, but he instead snoops around their house, a la Jack Bauer, and uncovers what he believes to be a terrorist plot to blow up the Springfield Mall. The race is on as Homer tries to warn the residents of Springfield about the impending disaster. 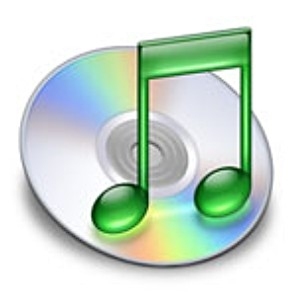 Apple has announced three significant changes to its iTunes Store at Macworld Expo, but the first is undoubtedly the biggest news: The music and video download service, which features more than 10 million songs, is finally going Digital Rights Management (DRM)-free. While Phil hasn't mentioned it in the keynote just yet, it looks like iTunes might be getting a big catalog overhaul, with most major labels finally offering up DRM free tunes. Previously purchased songs are now upgradable for the same old price of $0.30 a song. Have you streamed video in Second Life? Aside from the limitations of allowing only Quicktime video or MP4 in QuickTime it is pretty cool. You can get a high quality MP4 version of a YouTube video. Chat Gestures at Events in SL - Enjoyed Enthusiasm or Annoying Spam? Broadcasted Live in SL on the Woodbridge sim . Follow along with the Power Point Presentation Slides . I talk about Machinima as one possible avenue of advertising in SL. One participant mentions draxtror depress SL journalist in youtube for Life 4-U TV . I talk about having a website for support, news and a product catalog and give my own wiki as an example. I covered many keyword suggestion tools such as Overture , Google Adwords , Keyword Discovery Tool , and a thesaurus . Blogs such as one by Prokofy Neva give you the ability to network on the web. Prokofy mentioned one of my snapshots on sl buzz that I took the day before news of Cory Linden resigning for Linden Lab . I continue on about social networking with comments on SL Universe and Facebook . You can see a list of different networks that I am using by looking at my On-X-I-Am profile . I play a few tunes on this discussion starting out with my blue hair jingle created for me by Geoff Smith . I play Mine Alone by REC ( Website ) and Motherless Child - MoShang No Place Like Home Mix - Asian Variations 2007 by Lovespirals ( Website ) who provide podsafe music on the podshow network. Talks about different visitor counters that can be found within virtual world of Second Life. A comparison at the end between counters offered by Linden Lab, Maya Realities, Metaverse Business, SL Buzz, MetaXpand, Rabbit Glen Software, SLsensor.com, Mechanized Life, and Second Labs. Power Point slides have been published on Google Docs as Blue Hair Podcast 15 - Tracking Visitors. What has changed this year from the beginning of last year, if anything? Starting on Saturday January 10th and going on over the next 7 weekends, GLANCE International Agency will host a fashion show on JSP Island every Saturday at 1 PM SLT in-between two LIVE concerts. The LIVE musician Dominick Manatiso and the super trendy fashion designer Kaddan Yue are the first artists to kick off the grand opening of the New Year edition of the fair. "I am very happy of the stats and having heard of their reputation for professionalism and smooth fashion shows, I knew Glance International Agency would handle it the best way.” Eric Coiffard commented. During the six weekend celebration the CEO of Just Soul Promotions Company had to expand his mall and is now happy to offer more fashionable shops to the crowd eager for outstanding LIVE events and unique runs. GLANCE and JSP would like to say a big thank you to the designers of Little Fish (Fionay Dill), Luminous Designs (Lumina Elvehjem), JetDoll (Kitty Pidgeon), Chez Gabrielle (Gabrielle Gateaux), 7th. Street (Px Smit), My Precious (Agnes Finney), Muze (Muze Rayna), Bland (Chav Paderborn & Rachel Breaker), R&K (Rikimaru Darkstone & Kleopatra Rives), Wildcatz (Nakitta Nightfire) and a special mention to the designers born in 2008 who worked with us for the first edition of JSP Artist & Fashion Expo, Marinoco Fashion (Marinoco Oceanlane) and Ezura FreeStyle (Ezura Xue). We all wish them the best of luck in their creative career for 2009! What makes a great Second Life DJ club? It is a combination of the live DJs mixing their own unique sounds, the staff committing themselves to the project, the people making the ultimate unified enjoyed experience, and the background atmosphere of the club design. There were many great, and not so great, Second Life DJ Clubs that have come and gone. In 2006 there were only about 10 good DJ clubs total! By 2007 the clubs reached more than 50... 2008 reached clubs numbering well in the hundreds. ... and 2009??? Lets just hope that you won't have to walk THROUGH other clubs, just to make it to the club you want to go to. Here are The Ravelong Award Winners!! Award Ceremony and Raver's Ball will be held mid-January. Details to be announced. Ravelong would like to thank the entire Second Life community, and the entire SL live performance community for broadening the horizons of millions worldwide.